Abstract skull mask is hand painted and has raised gold detail throughout the mask. Mask is made of a light weight durable PVC. 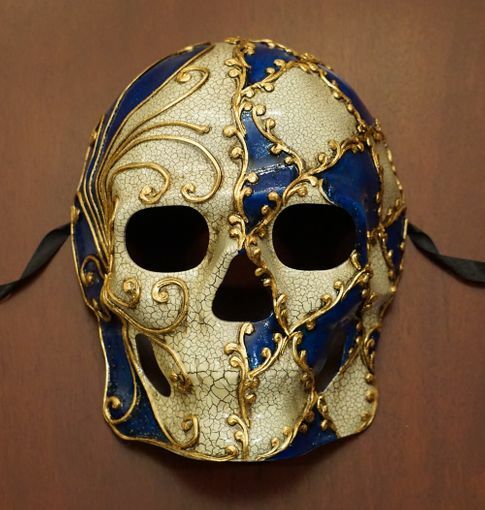 This mask is available in blue, red, and Black. Comes with black ribbon ties.